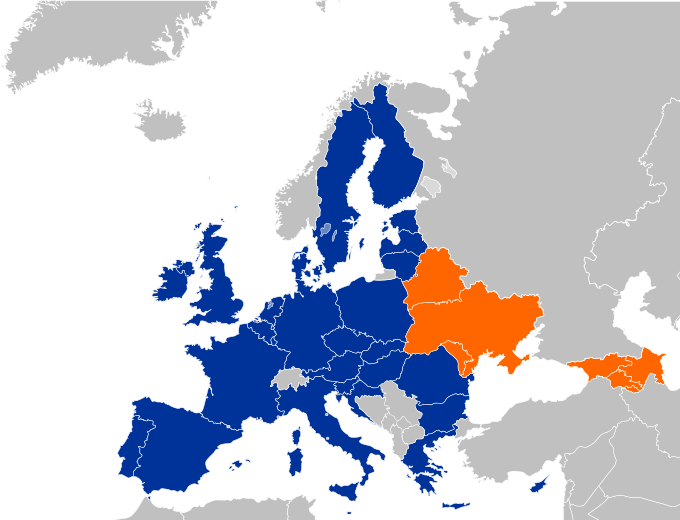 The Eastern Partnership (EaP) is an EU’s initiative bringing six Eastern countries closer to the Union. Being a partner country does not necessarily mean they will join the EU, it is more about closer political cooperation and economic integration with the Union. The project is aimed at Armenia, Azerbaijan, Belarus, Georgia, Moldova and Ukraine. 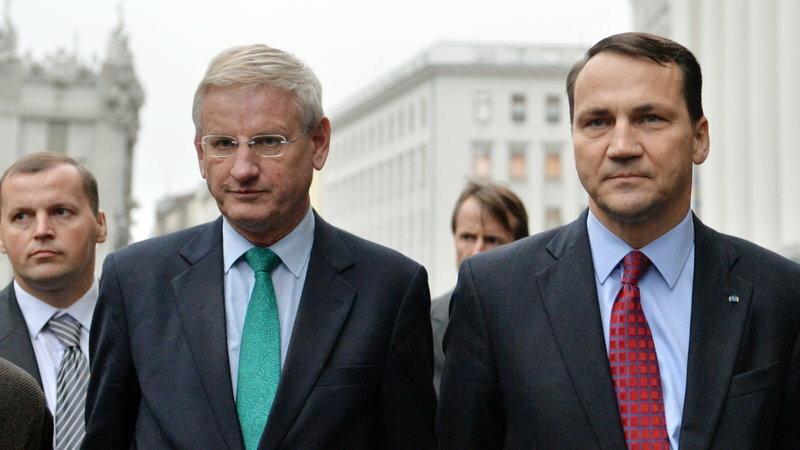 The original proposal was created by Poland and Sweden in 2008, particularly its Foreign Ministers at the time – Radosław Sikorski and Carl Bildt. Officially proposed by both countries at General Affairs and External Relations Council, 26 May 2008 in Brussels. The Eastern Partnership was inaugurated by the European Union at Prague summit of 7th May 2009. The project itself is established within European Neighbourhood Policy (ENP) but the Eastern Partnership goes much more beyond, making it more flexible and adjusted to the needs of individual partner countries. It takes into account much more factors such the economic ties with Russia and its influence on EaP countries. This policy is much more different, having in mind the history and dependency of partner countries during Soviet Union times, but also nowadays. Some countries still did not reform its administration to be suitable to European needs, that is why the proper EU’s Eastern Policy is important – to show the way for conducting reforms and existing together in some kind of unified system. Even if such a partner country will never join the European Union, it will significantly reform its economy and the whole country legislation to be more visible and competitive on the international arena. Too much post-soviet standards are still in existence in EaP countries. The project is governed within two dimensions: bilateral and multilateral. We can distinguish so-called Flagship initiatives. 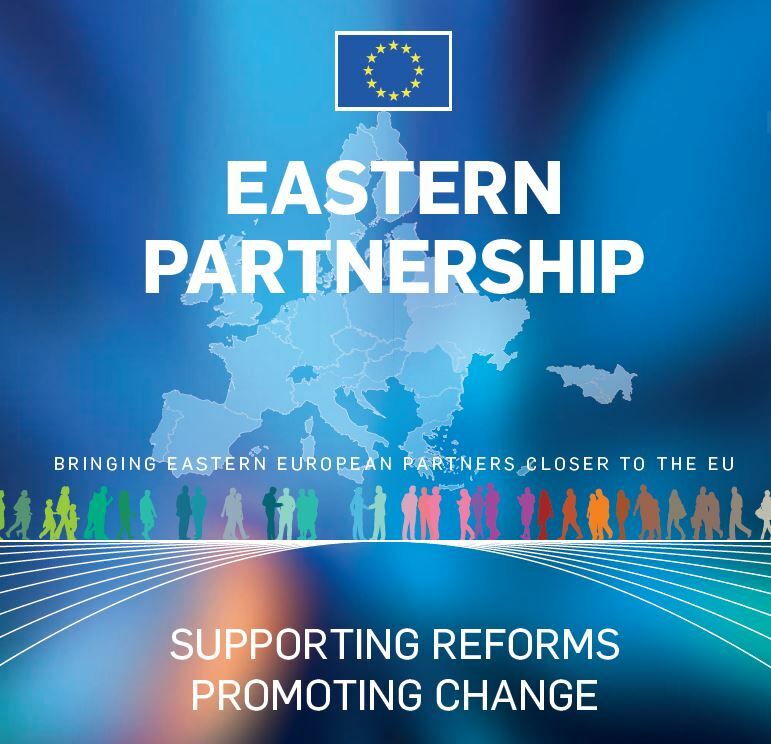 Projects implemented under flagship initiatives are aimed at supporting Eastern Partnership countries in the process of fulfilling bilateral dimension targets, such as conducting reforms and meeting European norms and standards. There are five initiatives, one of them is “Integrated Border Management” – inter alia about visa facilitation or assistance in demarcation of internationally recognized border, which happened in case of Belarusian-Ukrainian border. The Eastern Partnership is also very institutionalized having Euronest Parliamentary Assembly or Civil Society Forum – which was launched to unite representatives of non-governmental organizations from partner countries and EU member states. In current budget perspective 4,1 billion euro will be provided for development of this project. The Eastern Partnership summits shape the guidelines to be met until the next meeting of EaP countries and EU member states. The period between the previous and next summit is more or less 2 years. The first Eastern Partnership Summit was held in Prague on May 7, 2009. As the first it established guidelines for further development of the project, thematic platforms and ended up with specific goals to be achieved in the Joint Declaration of the Prague Eastern Partnership Summit. The second Eastern Partnership Summit was held in Warsaw on 29-30 September, 2011. One important fact was that Belarus boycotted Warsaw summit stating that “the EU discriminate President Lukashenka” because he cannot attend any summit. It is the result of long lasting regime in Belarus, where the elections are forged since many years. If the situation improves, the EU will warmly welcome Belarus as participant in summits and EaP activities. 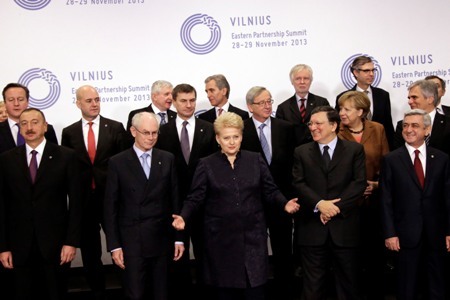 The last and the most “reforming” Eastern Partnership summit was the Vilnius summit of 28-29 November 2013. Azerbaijan has signed a visa facilitation agreement with the EU, the Union has also initialized Association Agreements between Moldova and Georgia (including DCFTAs). The most expected event to happen was signing the agreements with Ukraine. EU was technically ready to sign Association Agreement with Ukraine but President Yanukovych announced he will not sign the agreement and move closer to the Euroasian Economic Union developed by Russia. That is why protests that lead to his overthrowing began. The next Eastern Partnership summit will be held in Riga, Latvia in May 2015, which is seen as the most important summit to be organized in EaP history, especially at the time of Russian activities in Ukraine. “in current perspective 4,1 bln euro is going to be spent on things like Integrated Border Management(…) or anti-corruption training program and I can’t see how can it be a geopolitical challenge to anybody”. It is not a new information that Ukraine is the most populous and the most important country for the Eastern Partnership. The future of this country means at the same time future of the whole East project. Since the end of 2013 Ukraine is experiencing both economic and political problems. Overthrowing of President Victor Yanukovych was a sign for Russia that they can lose control over the region and that the Ukraine backed by Western countries will not be so much exposed on threats, also economic ones. Russian policy towards “near abroad” can be compared to Soviet times, when it was enough to threat of military intervention or economic blockade. 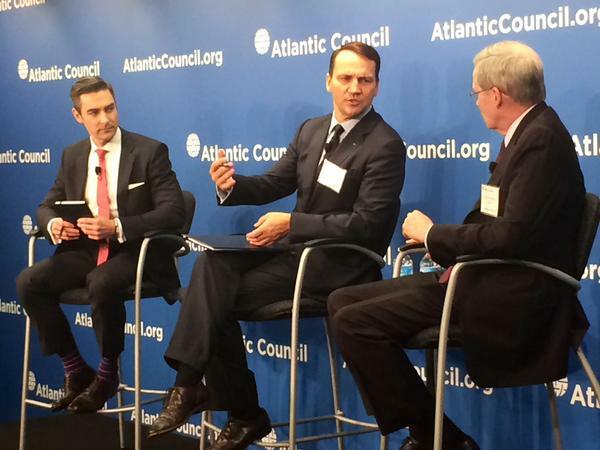 Now, the times has changed but Russian attitude towards the West is still very provocative. The Ukrainian conflict has shown us that it is probably the second Cold War period in history. Even if there are more and more evidences that Russia is supplying the so called “separatists” in military equipment and sending its undercover troops, it is always denied by the President Putin or Foreign Minister of Russia, Sergey Lavrov. The European Union never claimed that the Eastern Partnership Project is targeted against Russian interests, if the partner country does not want to sign the agreements with the Union it is a normal thing. Respecting democracy and sovereignty of EaP countries the EU has never threatened its Eastern partners by any kind of economic restrictions, which Russia does over and over again. The country of Russia is not respecting basic principles of the United Nations such as the “self-determination” principle – it means that each country has the right to decide about its own future. The future of the EaP also depends on the results of the Riga Summit, which for sure will be very important in drafting the new strategy, I would say the “crisis strategy”. I hope the reforms of EaP will be possible to achieve. A very important fact is that the sanctions imposed on Russia are working, but I think they were implemented too late. My opinion is that the lack of strong reaction of the World (including the EU), to Russian invasion in Georgia in 2008 was like an encouragement for President Putin to invade other countries in the future. He felt that no one can oppose to his ideas so he can invade others without any worries. To conclude, there is no unanimity in the EU as for Russian activities. The situation is changing all the time, and that is why there is no clear answer on what can happen in the future. The EU should speak as one voice, that is the key. Let us also not forget, that the success of the Eastern Partnership depends on the willingness of the partner countries to share European standards and values.